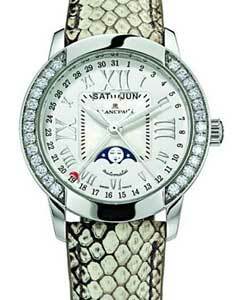 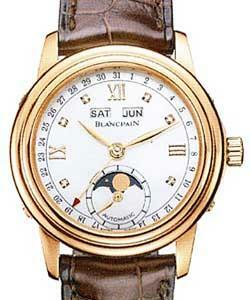 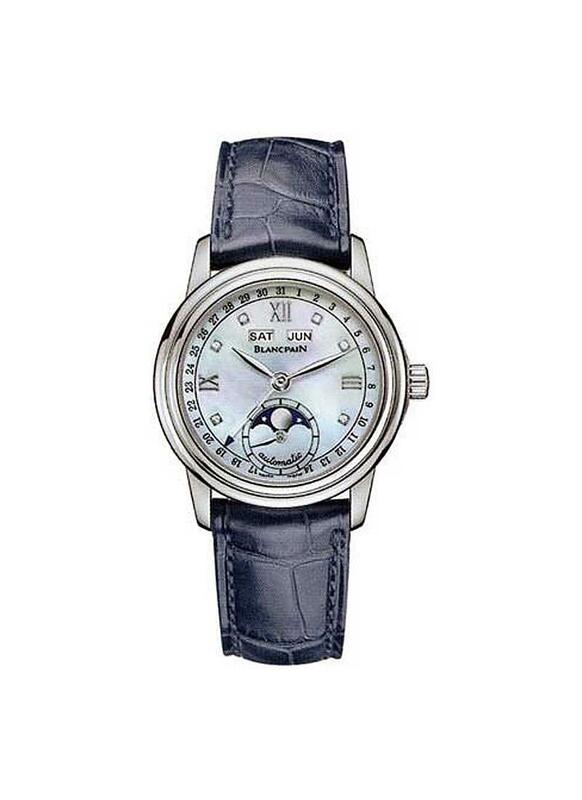 This watch is also known as: 2360.1191A.55B , 2360-1191A-55 , 2360119155 . 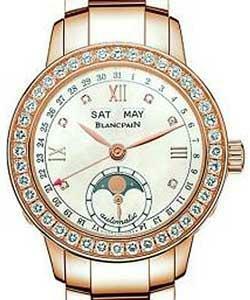 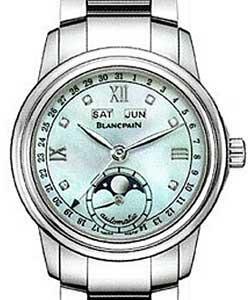 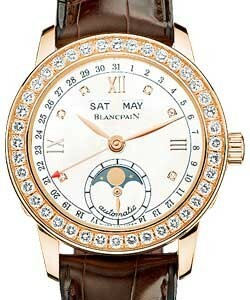 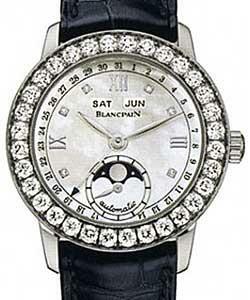 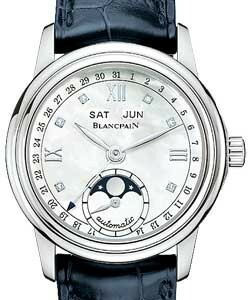 The Ladies Blancpain Leman Moon Phase with Complete Calendar also features an automatic movement with back with moon phase and complete calendar. 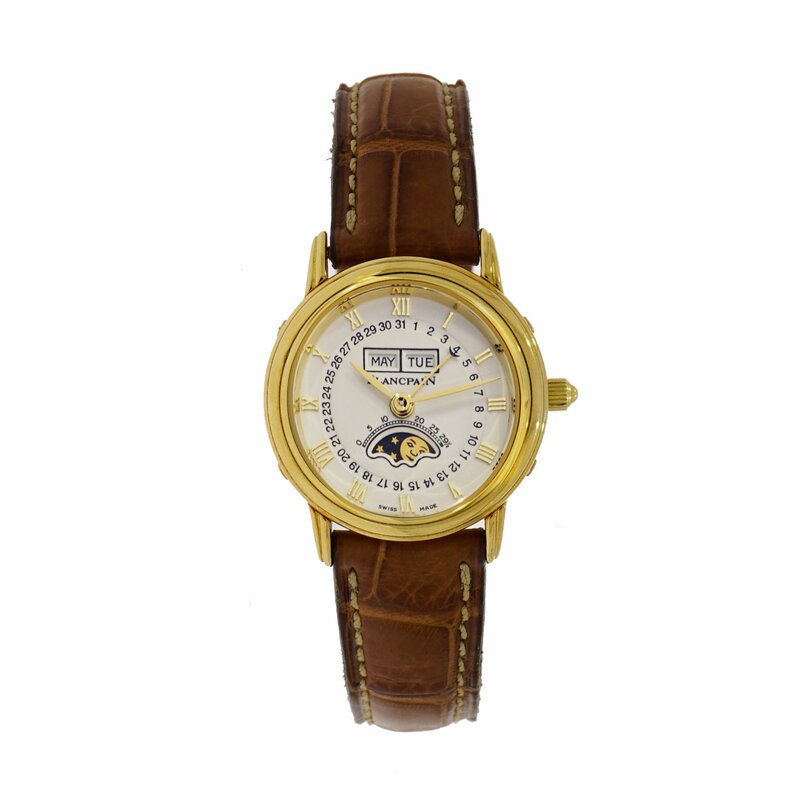 This watch is water resistant to 30 meters.